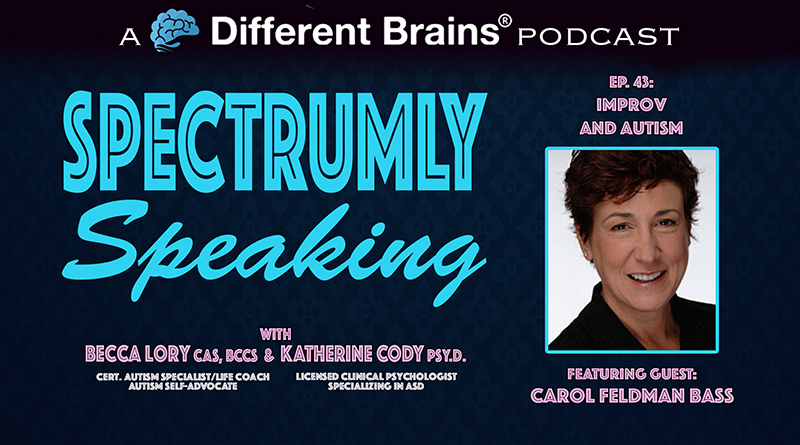 (39 mins) In this episode, hosts Katherine Cody, Psy.D. and Becca Lory, CAS, BCCS speak with Carol Feldman Bass, founder of Social Dynamix. Drawing on her background as a life coach, group facilitator, divorce mediator, improvisational comic, and actress, Carol’s expertise is in helping people find the confidence they seek to live life to the fullest. In 2011, Carol founded Social Dynamix, a totally unique, interactive style of learning that combines improvisation, psychodrama, and social pragmatics to help individuals gain confidence and overcome social anxiety. Carol’s special skill is in creating a nurturing, non-threatening, and fun environment where socially uncomfortable individuals can learn, communicate, and blossom. 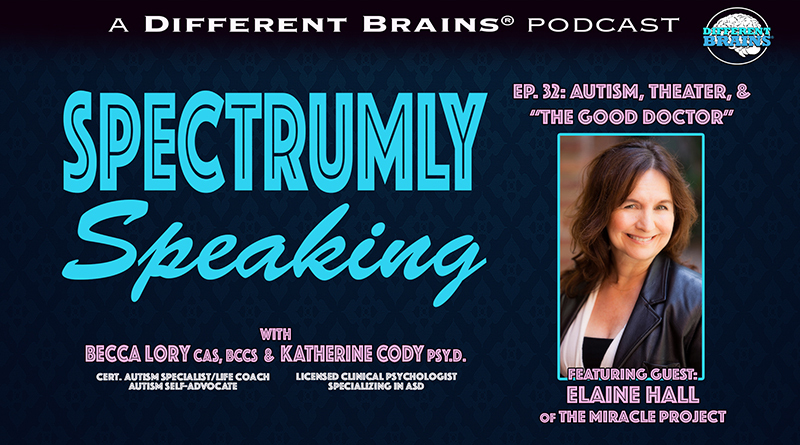 The three discuss what SocialDynamix does, how improv can help people with autism improve their social skills, the roles psychodrama and social pragmatics play, and how her work can aid in perspective taking. 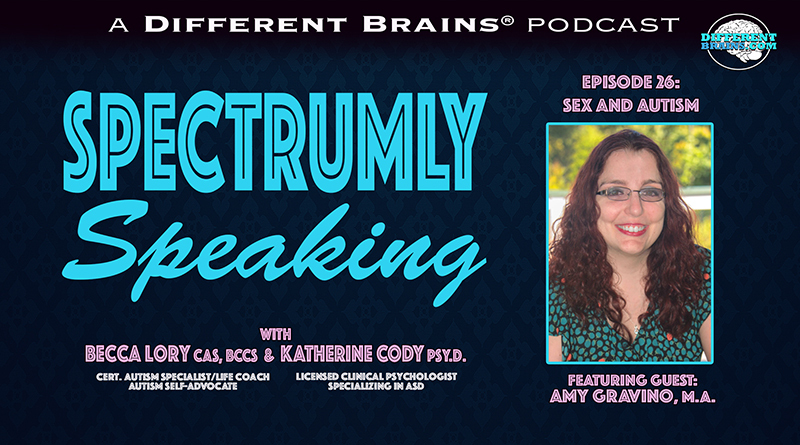 (45 mins) In this episode, hosts Katherine Cody, Psy.D. 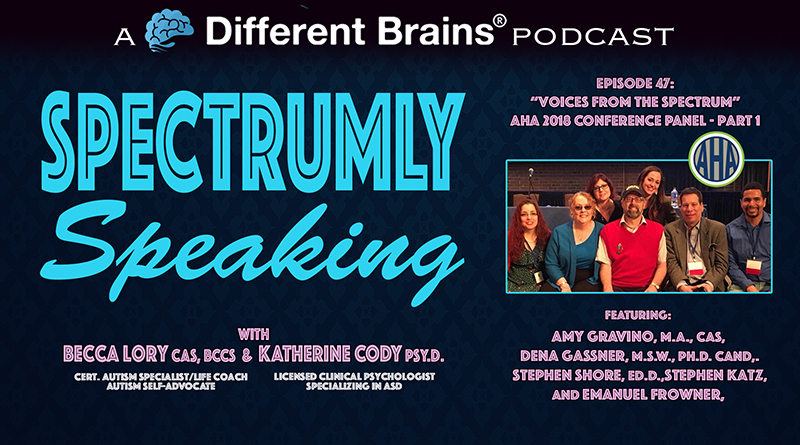 and Becca Lory, CAS, BCCS present part 1 of the "Voices from the Spectrum” panel presented at the Asperger Syndrome & High Functioning Autism Association (AHA) 2018 Conference.